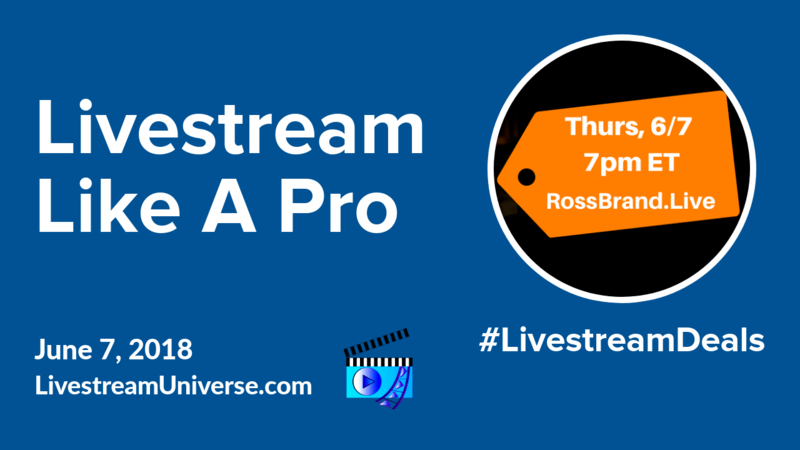 Tag Archives for " Dan Pisarski "
Ross Brand with your Livestream Universe Update and Flash Briefing for Wednesday, June 13th, 2018. 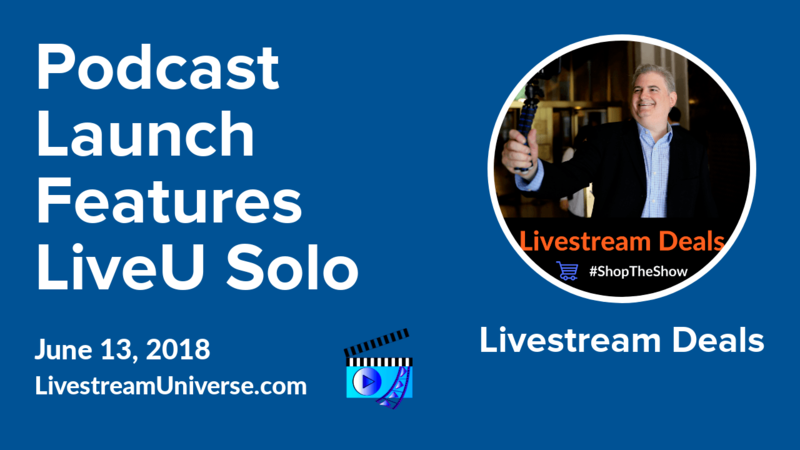 The Live U Solo is the first product featured on the brand new Livestream Deals podcast. 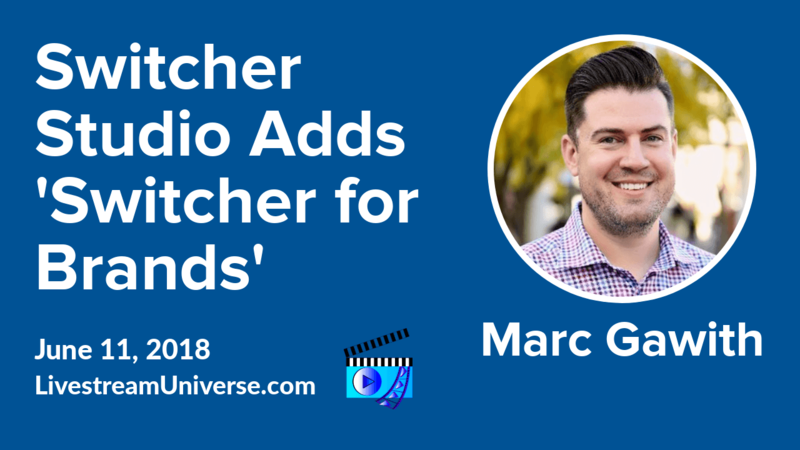 The monthly livestream show covering four products each broadcast is adding a podcast which will focus on one product per episode, but release content more frequently. 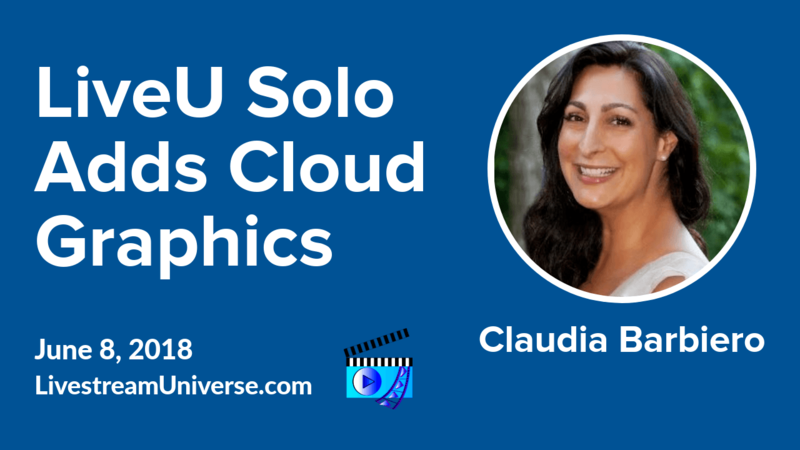 Guests Claudia Barbiero and Dan Pisarski talked about the Solo’s new cloud graphics for live streaming. Claudia also shared advice for those hesitant about going live. You can hear the full first episode of the Livestream Deals podcast on iTunes at LivestreamDeals.com/iTunes. At 12pm ET, it’s the Business of Video Podcast with Owen Video and Nick Nimmen. View on the Owen Video X Facebook page. At 2pm ET, it’s LegalHour.Live with Mitch Jackson and Joey Vitale. That’s on the LegalHour.Live Facebook page. At 3pm ET, it’s Camera Confidence Live with Molly Mahoney. That’s on the BeLive TV Facebook page. And catch the replay of yesterday’s Best of BeLive with Ross and Rachel. We talk about how to prepare for, and recover from, things going wrong when livestreaming. That’s on the BeLive TV Facebook page.